If you are reading this, you are a Luther Lion Fan. We are proud to cover Luther High School sports in the Luther Register. But we cannot continue without reader support! 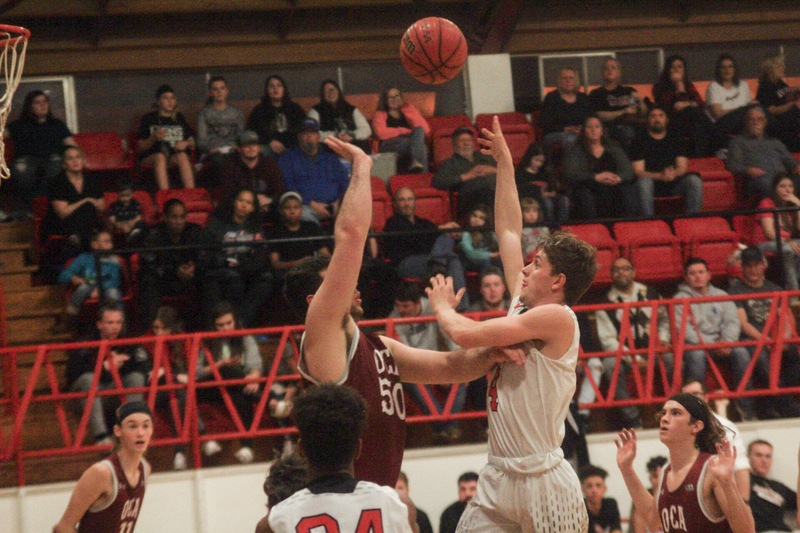 Please consider a one-time or a monthly gift to ensure we can continue covering the basketball season and cover upcoming spring sports including track, baseball and softball. Reader support and advertising funds The Luther Register. Thank you. Two big wins made for a memorable homecoming night for the Luther Lions basketball teams. 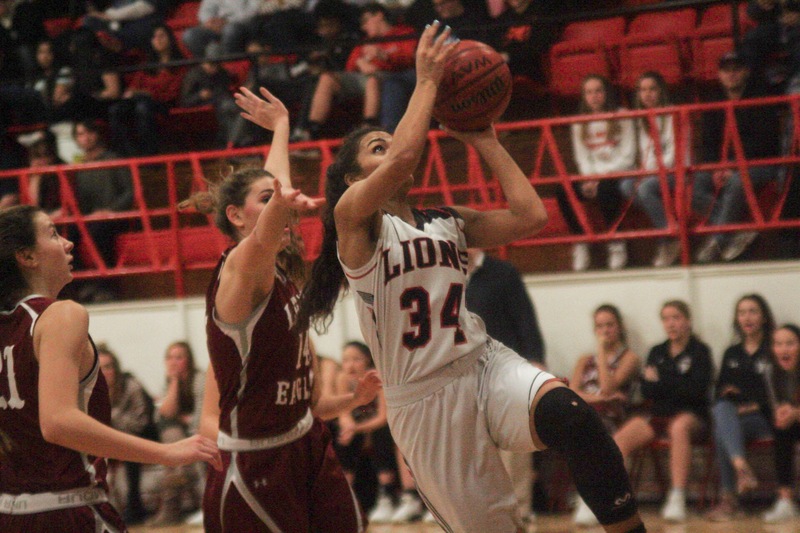 The Lions played Oklahoma Christian Academy, and the boys and the girls team each scored 68 points over Edmond’s OCA. The final scores were 68-53 for the girls and 68-46 for the boys. 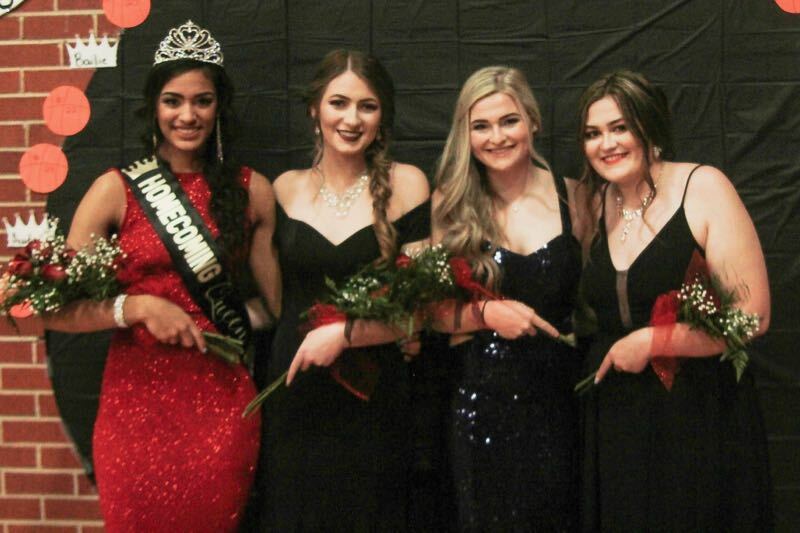 Senior and Team Captain Lauren Coates was crowned Homecoming Queen in a ceremony at 6 pm, just before the Ladies’ 6:30 pm tipoff. Once the Lady Lions took the court, they owned it and had the lead all game. 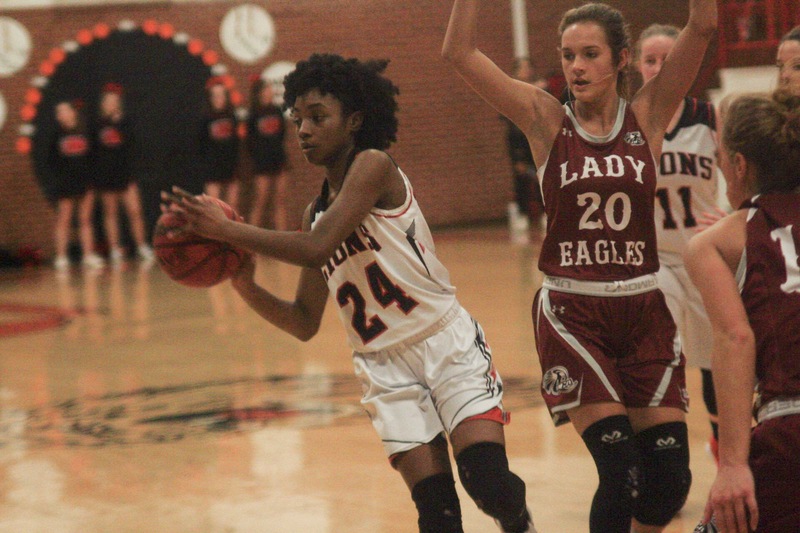 Coates dominated on defense, with four steals and 11 rebounds. On offense, she also scored eight points. Junior Raychel Stanfield led the team with 20 points, five rebounds and four assists. Senior Caitlin Bailey, scored 15 points, four rebounds, three assists and three steals. Junior Bailie Wilds contributed 13 points. 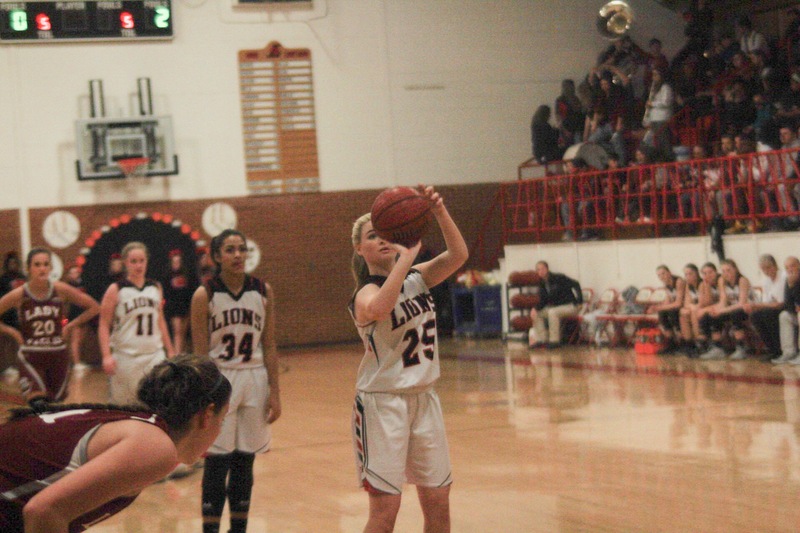 Other scorers for the Lady Lions: Kennedy Cox, six; Shawntae Silva, four; Lindsay Kuhlman, two. When the Lions hit the court, they commanded the lead. 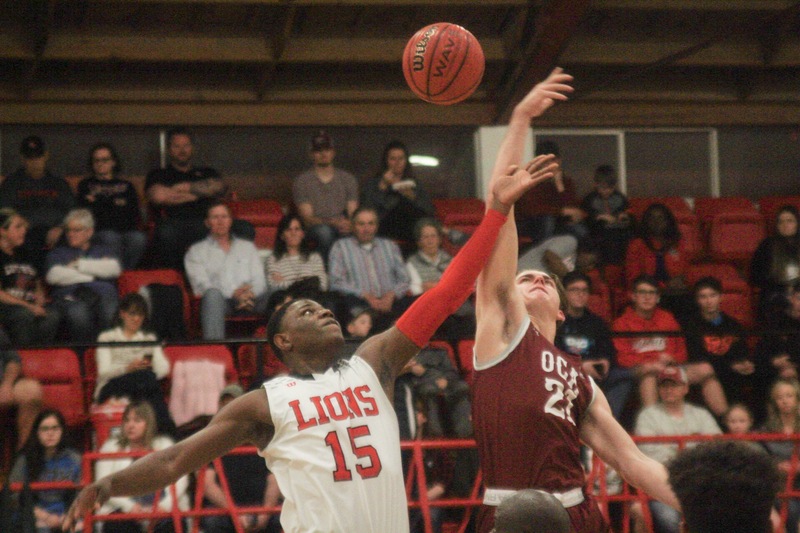 At one point, OCA came within two points of the lead in the first half, but the Lions didn’t let up and pushed harder getting a 68-46 win. 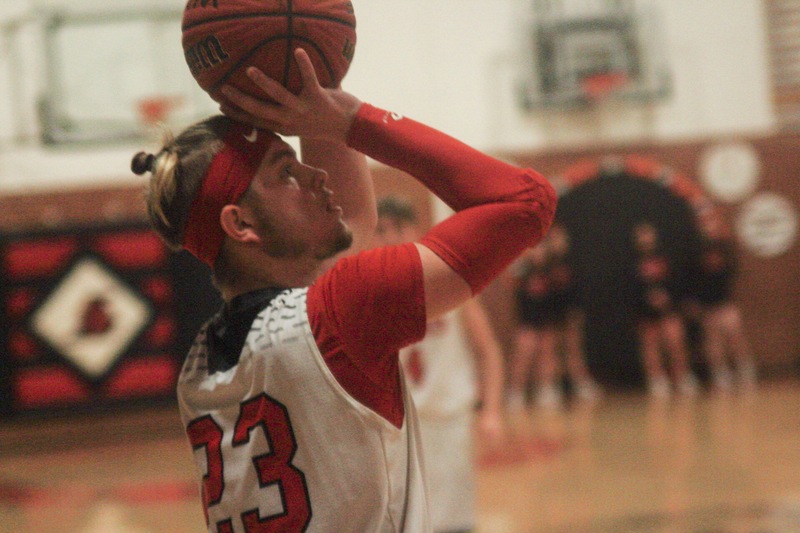 Junior Tyler Becker was all over the court, leading with 21 points, 8 rebounds and 6 assists. Senior Syrus Grisby had 20 points. His signature dunk in the last quarter brought the packed house to its feet. Grisby has three steals and four rebounds. 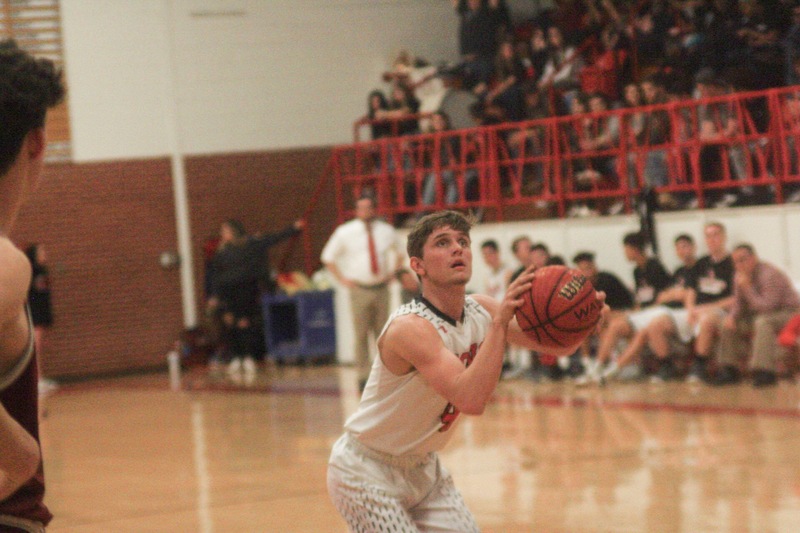 Junior Cole Mills had nine points, five rebounds and two assists. 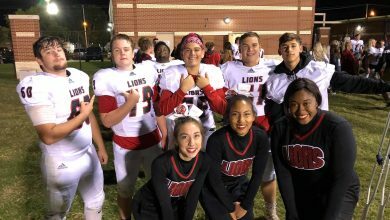 Other Lions who scored: Nick Hines, six; Gerald McCauley, 4; Fredrik Greenhoward, 3; Jake Lombard, 3. 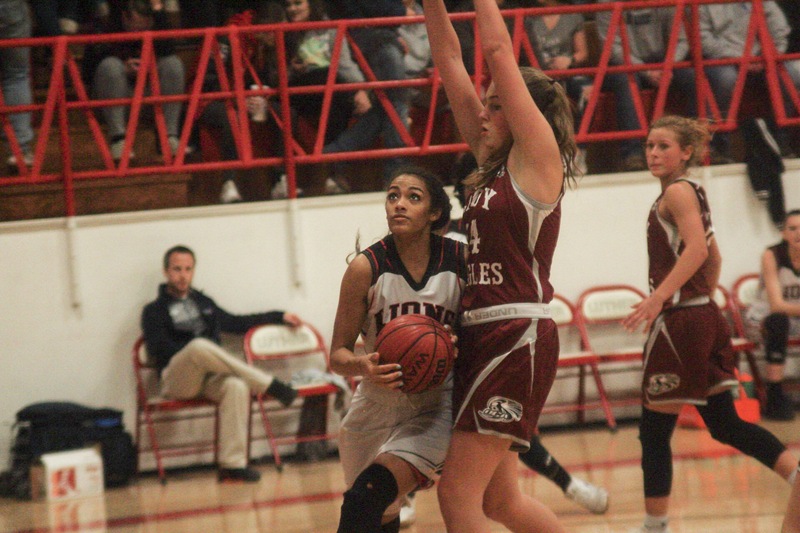 The Lions travel to Jones on Tuesday, January 22, and then take a road trip to Altus for the Tri-County Tournament, January 24-26. Click here for a slideshow of pictures from the evening taken by Jacob Factor, The Lion Reporter.